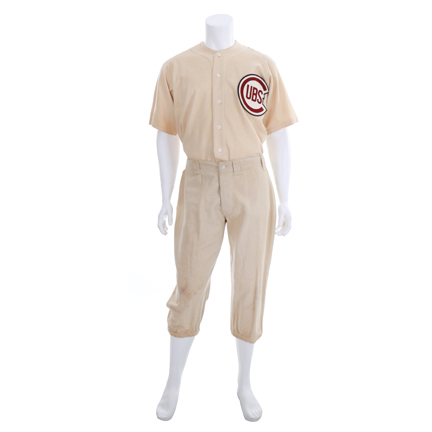 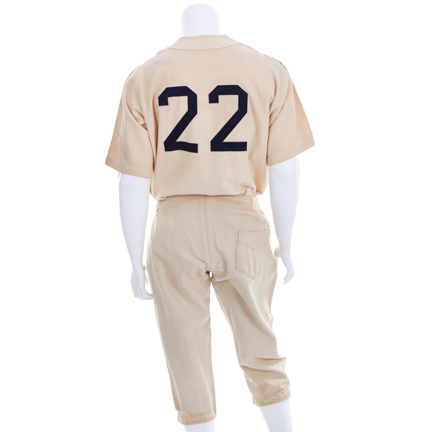 This vintage cream wool baseball uniform was worn by the character “Dizzy Dean" portrayed by actor Dan Dailey in the 1952 motion picture classic “The Pride of St. Louis” also starring Richard Crenna. 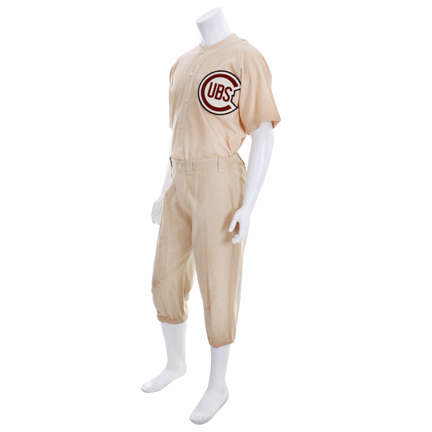 Mr. Dailey wore the outfit in the notable scene where “Dizzy” has been traded to the Cubs and pitches against the Yankees. 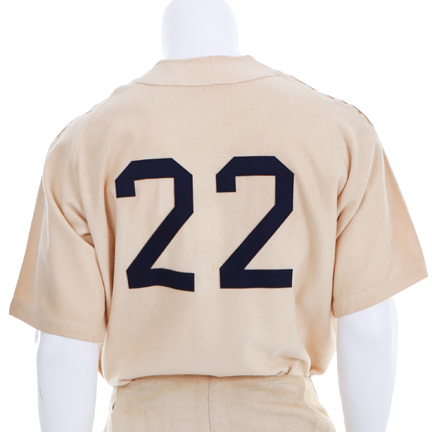 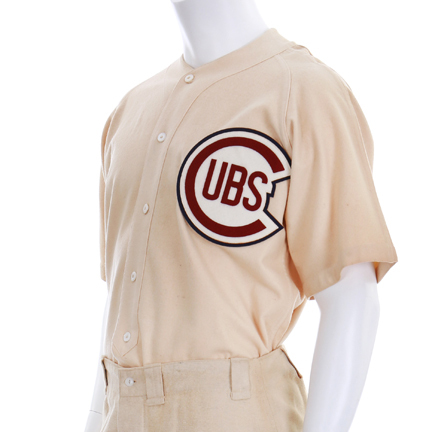 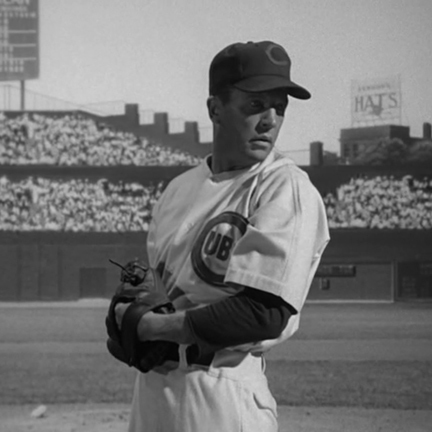 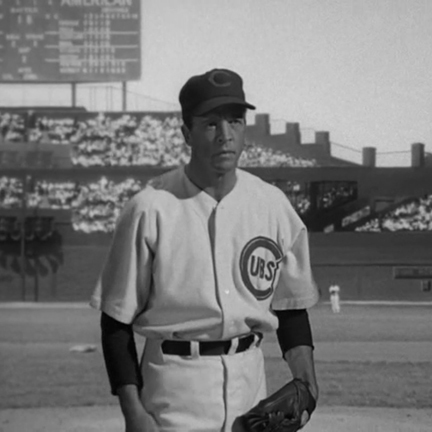 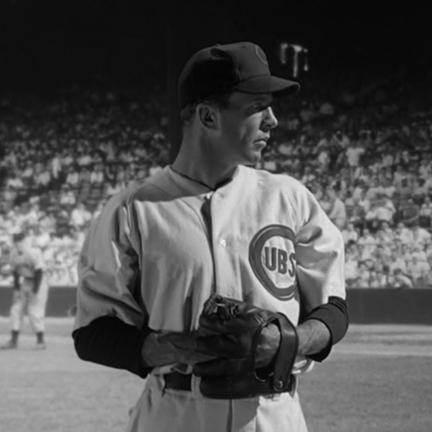 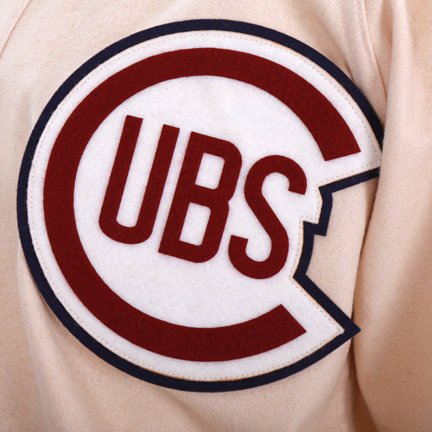 When worn in the film, the jersey was originally adorned with a Cubs insignia with the number 22 on the back, but was later altered for use in a subsequent production and was switched into an Indians jersey with the number 8. 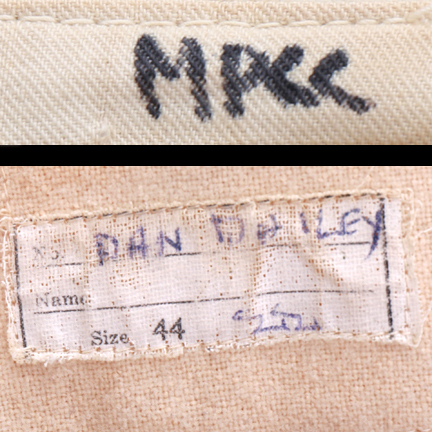 The stitch marks for the original patches are still clearly visible and the interior of the garments are complete with the original 20th Century Fox label and stamp, as well as additional labels with the actor name “Dan Dailey” and “Cubs” handwritten in slightly faded ink. 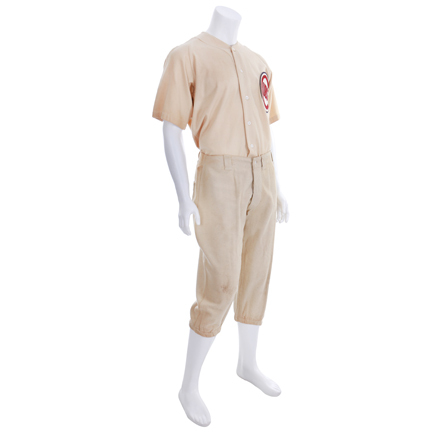 Both garments are in good screen used condition with minor evidence of age and are accompanied by a letter of authenticity.